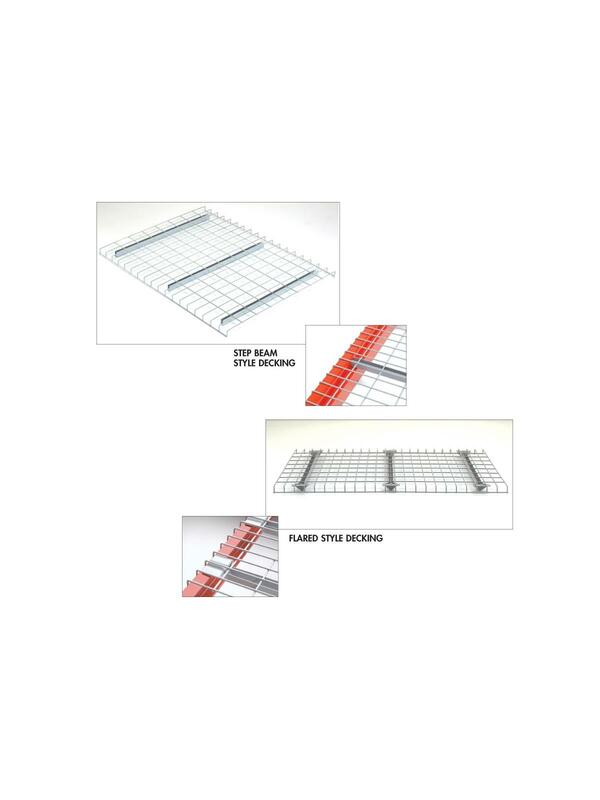 Improves fire safety and reduces dirt and dust build-up… keeps merchandise cleaner and safer. Channels are rugged 14 ga. supports for extra supporting strength. 2" x 4" wire mesh. Decks are designed to accommodate 1-1/2" or 1-5/8" step beams where the outside dimension is nominal /- 0". Top of beam dimension must be between 1-5/8" and 1-7/8". Fits most brands of pallet rack on the market today. FOB Shipping Point. 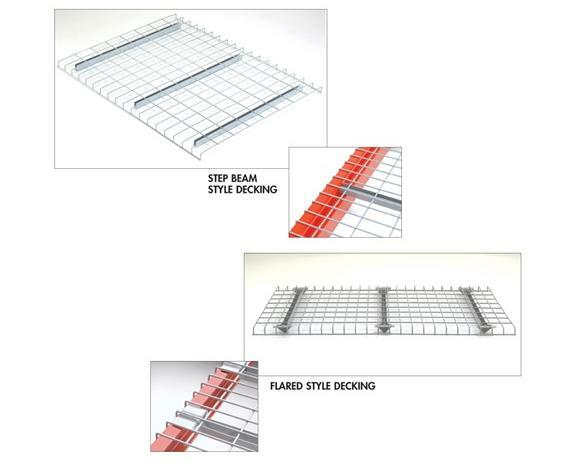 Welded wire decking makes inventory easier to see, reduces fire hazard and simplifies product handling. Inventory stays cleaner -- no place for dirt or dust to collect. Here's strength with economy. Easy to install with minimum maintenance. Whether you are planning new storage racks or bringing your old ones up to current requirements, we will be happy to assist you. Just determine your needs; maximum lbs. per shelf, or maximum lbs. per sq. ft., and call for a quotation. $200.00 minimum order on page. D x W 36 x 34" 36 x 46" 36 x 52" 36 x 58" 42 x 34" 42 x 46" 42 x 52" 42 x 58" 44 x 46" 44 x 52" 48 x 34" 48 x 46" 48 x 52" 48 x 58"
Mesh Size 2 x 4" 2-1/2 x 4"